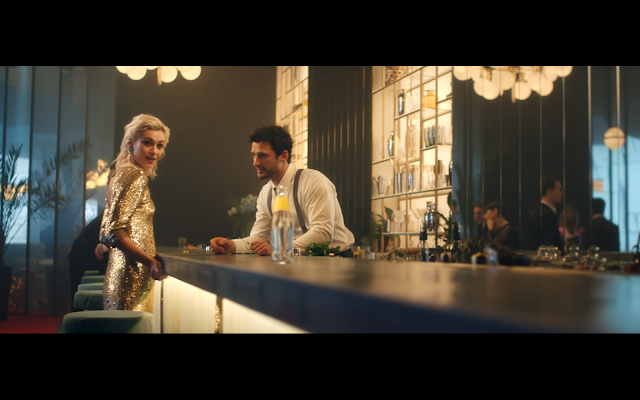 BETC Paris brings out a new brand film for Schweppes, introducing a new signature. What Did You Expect?” becomes “What Do You Expect?” Changing just two letters creates a whole new meaning: from a closing conclusion to an opening cliff-hanger; from a now-expected wink to an invitation to explore the unexpected. With this new editorial line, the Schweppes brand is reasserting its uniqueness, style and position as one the greatest premium brands. The film starts with a bartender who slides a bottle of Schweppes across the bar to invite a young lady, as an invitation to escape the party she’s at, jump down the rabbit hole and go for an unexpected and crazy night out. The ad was directed by Michael Gracey, who has just made the feature-length The Greatest Showman with Hugh Jackman and is also well known for Evian’s famous “Roller Babies” (the world record for the most-watched advertisement on YouTube).